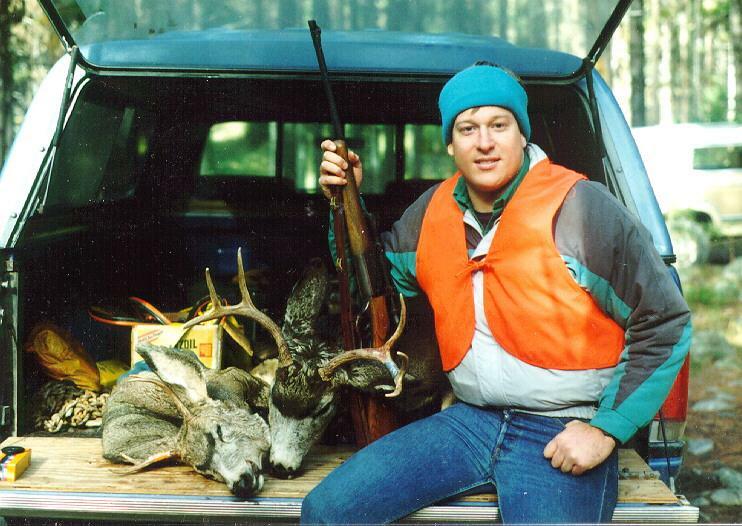 Below is the only picture I have from my very first deer hunting trip in 1995. The rifle I'm holding is my Grandfather's "lever action 300 Savage" (which has sentimental value to our family) and on my very first hunting trip I carried this rifle and successfully hunted one of the deer pictured in the back of the pickup truck. My Grandfather had passed away earlier in 1995 (the year this was taken), and had really loved hunting with the rifle pictured below.